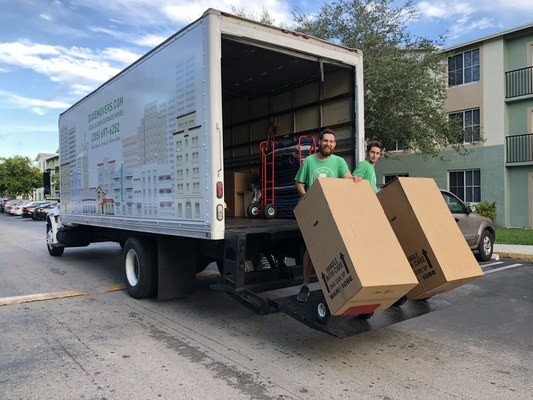 From first quote, Dixie Movers experienced team of MIAMI movers take pride in arranging a seamless move for your household or business, making the transition fast and efficient. Our mission is to make your move stress free! Dixie Movers represent a real experience summary for a group of people with many years in the moving services industry behind their shoulders. The company was established in 2015 as an organic extension of the moving business in the South Florida. Our employees were selected by time and by great results achieved throughout the years. Dixie Movers represent high professionalism, great skill base of its movers at the same time remaining new on the market. Our professional teams will demonstrate you significant quality, efficiency and make your move fast and peaceful. No need to look any more, Dixie Movers provides the best moving services in the area! We always remain honest and open with our clients which benefits both sides in a great way. Dixie Movers moving services is a great find among all the companies out there. Go with us and enjoy our service.